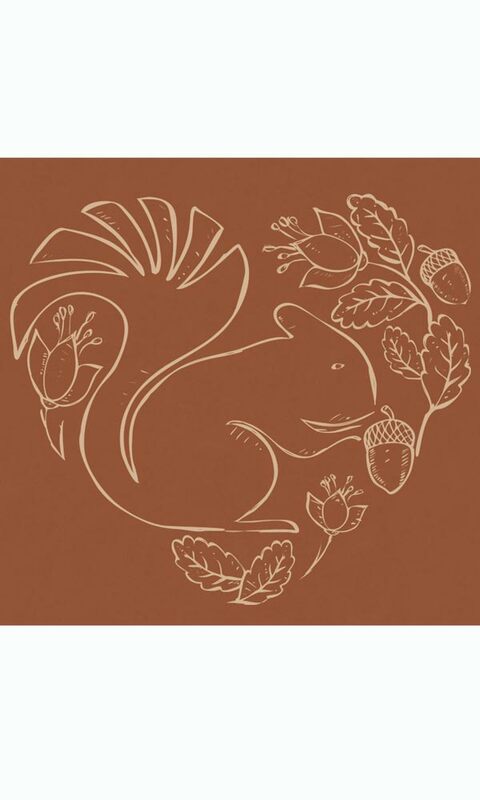 This playful design captures the squirrel and its habitat in a whimsical heart-shaped sketch. 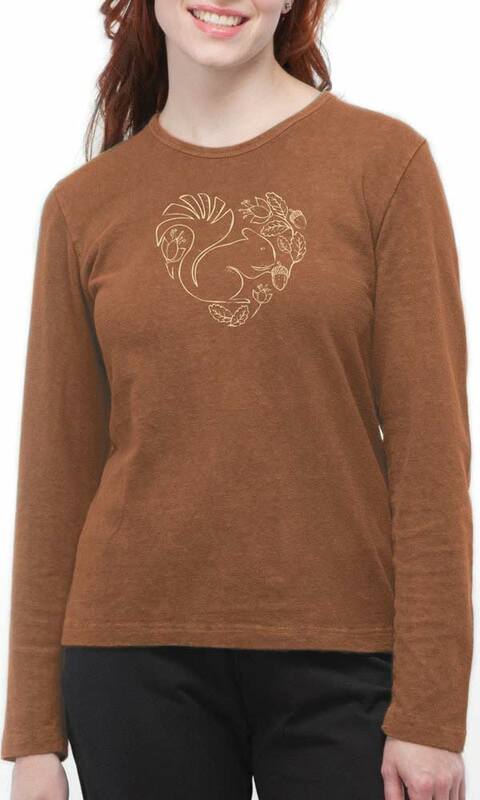 Printed using eco-friendly non-PVC inks on our 3/4 Sleeve Ladies Tee. Medium length from shoulder seam down the back is approximately 25".